Here are the latest pictures of actress Sameera Reddy. She is expecting her second child. Actress Sameera Reddy is expecting for the second time. The actress was spotted at the ongoing Lakme Fashion Week 2019, attending designer Anita Dongre's show. Sameera wore a lime-coloured coat over a basic black pair of pants and white top. She looked stylish. 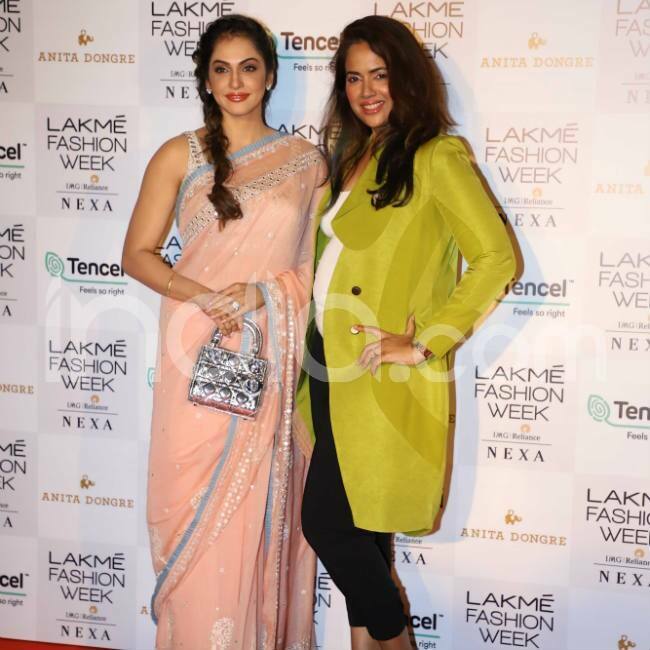 At the event, she bonded up with her friend and co-actor Isha Koppikar. The two posed for the paps. In an interview earlier, she stated that she and her husband Akshaye Varde have been planning to have second child for long and everything feels surreal now.